Almost a month after the phone made its official debut, Huawei have finally confirmed that they'll begin selling their P20 Pro smartphone in Australia via "local partners" from the 18th of May. Unfortunately, there are no specifics yet on what the term local partners covers nor anything about the regular P20. In the past, Huawei's smartphones have usually been available through Optus, Vodafone, JB Hi-Fi and Harvey Norman. In addition, local pricing is still MIA. We've reached out to Huawei's PR to clarify and will update this article when we hear back. The announcement comes just days after Ausdroid reported that Amaysim's online storefront had begun selling the device for an outright price of $975, "which is anticipated to be below the phone’s recommended retail price when it officially arrives." In terms of specs, both the P20 and P20 Pro run on Huawei's Kirin 970 CPU. The 5.8-inch P20 boasts 4GB of RAM, the 6.1-inch Pro ups that to 6GB. The Pro also features a larger 4000mAh battery compared to the regular P20's 3400mAh. Of course, the headline here is the camera on the P20 Pro. It comes equipped with a powerful dual-lens camera while the P20 Pro ups the ante by incorporating the world's first triple lens smartphone camera. More specifically, it touts a Leica-developed camera configuration is comprised of a 40MP RGB sensor, a 20MP monochrome sensor and an 8MP sensor with telephoto lens. As a result, Huawei say the P20 Pro’s highly sensitive image sensor captures low light photos with up to ISO 102400. Camera ratings website DxO Mark have already given the P20 Pro their stamp of approval, awarding it an impressive overall score of 109. 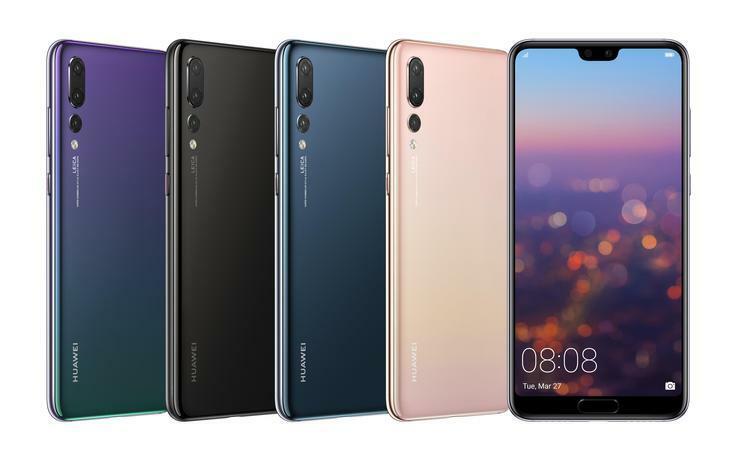 Within Australia, Huawei say the P20 Pro will be available in both Black and Twilight colours. Again, there's no confirmation yet on whether the P20 will also be coming to the Australian market, nor what color variants will be offered for it.